This task sets up your system to be a GIS workstation to process geographical information and make maps. AVCE00 состоит из библиотеки на Си и группы инструментов, преобразующих формат (двоичный) Arcinfo Vector Coverages в E00. Позволяет читать и записывать двоичные заголовки как если бы они были файлами E00. E00compr is an ANSI C library that reads and writes Arcinfo compressed E00 files. Both "PARTIAL" and "FULL" compression levels are supported. E00 files are the vector import/export format for Arcinfo. It is plain ASCII and is meant as an interchange format. ESRI considers the format to be proprietary, so this package may not read all E00 files as ESRI may change the format. This package is useful for importing E00 files into the grass GIS system. It contains the e00conv command-line program, which takes a E00 file as input (compressed or not) and copies it to a new file with the requested compression level (NONE, PARTIAL or FULL). The library is not included at this stage. This package contains some useful tools to compress/uncompress images. This package contains some core tools based on the GeographicLib library. This package contains the command line utilities to resolve the IP numbers using the GeoIP library. A Tcl package that provides the means of creating and reading files in the ESRI Shapefile for keeping 2 or 3 dimensional points and polylines. It was developed for use in GPSMan, a manager of GPS receiver data and is based on the shapelib module. Along with this package, gpstr2shp.c was also developed which translates GPStrans data files into Shapefile ones. Install this virtual package to get a full GRASS system. This package contains runtime tools for HDF5. GDAL is a translator library for raster geospatial data formats. As a library, it presents a single abstract data model to the calling application for all supported formats. This extension provides access to GRASS data via GDAL. This package provides the GDAL GRASS plugin. One location on the globe, in any coordinate system. Geo::Point tries to hide the maths and the coordinate system in which the point is represented. One of the most confusing things when handling geometrical data, is that sometimes latlong, sometimes xy are used: horizontal and vertical organization reversed. This package tries to hide this from your program by providing abstract accessors latlong(), longlat(), xy(), and yx(). This package contains the essential toolset to manage LiDAR data: lasinfo, lasmerge, las2las, las2txt, txt2las, las2ogr. This package contains a command line utility that can convert to and from mapcodes. This package includes core tools that use the OSSIM library to perform some basic tasks. All utilities in pktools use command line options and have a built in help. They include more than thirty binaries to edit, change, crop, classify, compare, dump, fill, enhance images and many other common operations useful in the remote sensing field of image analysis. This script performs a network and time efficient comparison or synchronization of two possibly large tables on two PostgreSQL database servers, so as to detect inserted, updated or deleted tuples between these tables. pprepair (planar partition repair) takes a set of polygons and ensures that they form a valid planar partition, made of valid polygons and having no gaps or overlaps. It can be used as a validator, telling of problems in individual polygons or in the planar partition, and also as an automatic repair tool, outputting a set of polygons that do form a valid planar partition. prepair permits you to easily repair "broken" GIS polygons, and that according to the international standards ISO 19107. In brief, given a polygon stored in WKT, it automatically repairs it and gives you back a valid WKT. Automated repair methods can be considered as interpreting ambiguous or ill-defined polygons and giving a coherent and clearly defined output. This package provides the PROJ binary tools. This library contains functions for handling affine transformations of the plane. It can be used in georeferenced datasets to transfer image to world coordinates. Descartes allows the usage of geometric objects as matplotlib paths and patches. This package contains Python bindings for GDAL/OGR library and a set of additional command line tools. GeoPandas is a project to add support for geographic data to pandas objects. It currently implements GeoSeries and GeoDataFrame types which are subclasses of pandas.Series and pandas.DataFrame respectively. GeoPandas objects can act on shapely geometry objects and perform geometric operations. GeoPandas geometry operations are cartesian. The coordinate reference system (crs) can be stored as an attribute on an object, and is automatically set when loading from a file. Objects may be transformed to new coordinate systems with the to_crs() method. There is currently no enforcement of like coordinates for operations, but that may change in the future. Mapnik — это набор инструментов C++ с открытым программным кодом для разработки приложений, использующих данные ГИС (геоинформационной системы). В основу положена разделяемая библиотека C++, которая предоставляет алгоритмы и модели доступа к пространственным данным и их визуализации. Библиотека является, по существу, набором географических объектов (карта, слой, источник данных, характеристика, геометрия), не зависит от «оконных систем» и предназначена для работы в многопоточном окружении. Этот пакет содержит интерфейс для Python версии 2. This package contains the PDAL extension for Python 2.
pyspatialite is an interface to the SQLite 3.x embedded relational database engine with spatialite extensions. It is almost fully compliant with the Python database API version 2.0 and also exposes the unique features of SQLite and spatialite. This package contains the pyspatialite module for Python 2. Rasterio reads and writes geospatial raster datasets. Rasterio employs GDAL under the hood for file I/O and raster formatting. Its functions typically accept and return Numpy ndarrays. Rasterio is designed to make working with geospatial raster data more productive and more fun. predicate tests on features: intersects, touches, contains, and more. This library parses S-expressions using numpy. Available function include arithmetic and logical operators. Also members of the numpy module such as "asarray()", "mean()" and "where" are available. This package provides the Python 2 version of the package. Stetl, streaming ETL, pronounced "staedl", is a lightweight ETL-framework for the conversion of rich (as GML) geospatial data conversion. It basically glues together existing parsing and transformation tools like GDAL/OGR (ogr2ogr) and XSLT. By using native tools like libxml and libxslt (via Python lxml) Stetl is speed-optimized. Stetl has a similar design as Spring (Java) and other modern frameworks based on IoC (Inversion of Control). A configuration file (in Python config format) specifies your chain of ETL steps. This chain is formed by a series of Python modules/objects and their parameters. These are symbolically specified in the config file. You just invoke etl.py the main program with a config file. The config file specifies the input modules (e.g. PostGIS), transformers (e.g. XSLT) and outputs (e.g. a GML file or even WFS-T a geospatial protocol to publish GML to a server). A Geographic Information System (GIS) manages, analyzes, and displays databases of geographic information. QGIS supports shape file viewing and editing, spatial data storage with PostgreSQL/PostGIS, projection on-the-fly, map composition, and a number of other features via a plugin interface. QGIS also supports display of various georeferenced raster and Digital Elevation Model (DEM) formats including GeoTIFF, Arc/Info ASCII Grid, and USGS ASCII DEM. This package contains command-line tools to use librasterlite2. SAGA GIS (System for Automated Geoscientific Analyses) is a free and open source geographic information system used for editing and analysing spatial data. It includes a large number of modules for the analysis of vector (point, line and polygon), table, grid and image data. Among others the package includes modules for geostatistics, image classification, projections, simulation of dynamic processes (hydrology, landscape development) and terrain analysis. The functionality can be accessed through a GUI, the command line or by using the C++ API. This package contains the stetl utility. Thuban can read geographic data in the shapefile format. Main features of thuban are the layer management and the possibility to navigate on the map, to control the visual appearance of objects, to identify and edit attributes by object selection and to print and export the resulting maps for further processing. This package contains the thuban program and its libraries. Total Open Station (TOPS for friends) is a free software program for downloading and processing data from total station devices. it is designed to support as many devices and formats as possible, all within the same program, opposed to having one program per device. Every model has its own quirks, but TOPS uses a modular structure and keeps the downloading of data logically separated from its processing, thus enabling exporting data to a variety of output formats, even at a later moment. Archiving of raw data is made easy by using plain text files. This package contains HTML documentation for the GRASS system. This package contains the required packages for Java applications. NCO is a suite of programs known as operators. The operators are stand-alone, command-line programs executable in a POSIX shell. Operators take one or more netCDF files as input, perform operations (e.g., averaging, hyperslabbing), and produce a netCDF output file. NCO was originally designed to manipulate and analyze climate data, though it works on any netCDF format datasets. You would use ncview to get a quick and easy, push-button look at your NetCDF files. You can view simple movies of the data, view along various dimensions, take a look at the actual data values, change color maps, invert the data and other simple visual operations. Пакет содержит программы ncdump и ncgen, которые преобразуют файлы NetCDF в ASCII и обратно. NetCDF (Network Common Data Form) — интерфейс для доступа к научным данным и свободно распространяемая программная библиотека, реализующая этот интерфейс. Библиотека netCDF также определяет машинно- независимый формат представления научных данных. Интерфейс, библиотека и поддержка формата предоставляют возможность создания, обработки и совместного использования научных данных. NetCDF version 4 has many features not found in earlier versions of the library and is implemented on top of HDF5. This module can read and write files in both the new netCDF 4 and the old netCDF 3 format, and can create files that are readable by HDF5 clients. The API is modelled after Scientific.IO.NetCDF, and should be familiar to users of that module. Most new features of netCDF 4 are implemented, such as multiple unlimited dimensions, groups and zlib data compression. All the new numeric data types (such as 64 bit and unsigned integer types) are implemented. Compound and variable length (vlen) data types are supported, but the enum and opaque data types are not. Mixtures of compound and vlen data types (compound types containing vlens, and vlens containing compound types) are not supported. This package contains the netCDF 4 module for Python 2. PySHP provides read and write support for the ESRI Shapefile format. The Shapefile format is a popular Geographic Information System vector data format created by ESRI. This package contains the netCDF 4 module for Python 3. This package provides a gps card application for s3d. Google Earth is a 3D planet viewer that lets you interactively navigate satellite imagery, maps, terrain, and so forth. Google Earth is available for GNU/Linux from their web site, but is non-free software and is undistributable. It also does not integrate well into a Debian system. 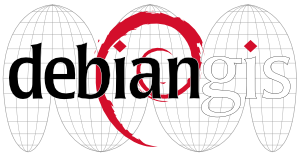 This utility makes it possible to build your own personal Debian package of Google Earth. The packaging itself is Free Software, but the Google Earth program is governed by the copyright holder (Google), so you may be limited as to what you can do with the resulting package (i.e. no redistribution, etc). This package will simply help you create the package, it is your responsibility to use the resulting package responsibly. grid can result in deviations of up to 20 centimeter. of the vertical. For this the NLGEO2004 geoid model has to be used. Taking into account the limitations listed above, the rdtrans2008 NTv2-grid and naptrans2008 VDatum-grid can be used as an alternative to RDNAPTRANS™2008 to transform geographic ETRS89-coordinates to projected RD-coordinates with grid correction applied and NAP-heights. Note that, although the resulting RD/NAP and ETRS89 coordinates from the transformation will be correct, geographic Bessel-1841 coordinates will differ in both procedures and should only be considered as an intermediate result. Chart Plotter and Navigational software program for use underway or as a planning tool. Developed by a team of active sailors using real world conditions for program testing and refinement. By default supports raster and vector formats like BSB and S63. Support for many other formats are available in plugins. Other plugins provides support for e. g., AIS, radar and weather maps. Application has language support in 20+ languages. This package contains programs, libraries and some support files. LibreWMS is an open source Geography application built on top of SpatiaLite and RasterLite2. It's basically simple and really light-weight, but it's an almost complete WMS 1.3.0 interactive GUI client. Capaware! is conceived as a system of 3D terrain representation with multilayer representation of diverse types of resources capabilities and executed applications integration feature. With OpenSceneGraph as the graphical engine, Capaware! enables the creation and modification of new layers of data through access to remote servers where they are. Moreover, the system can be completed with new features and programmed executables through the use of specific plugins. In this way we can gradually increase the power of the final system.